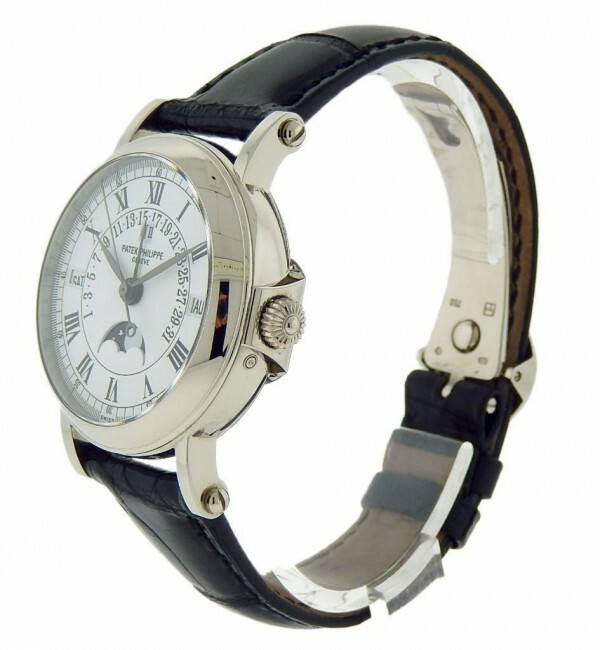 Patek Philippe a powerful, strong and well known name for quality that lasts for generations to come. 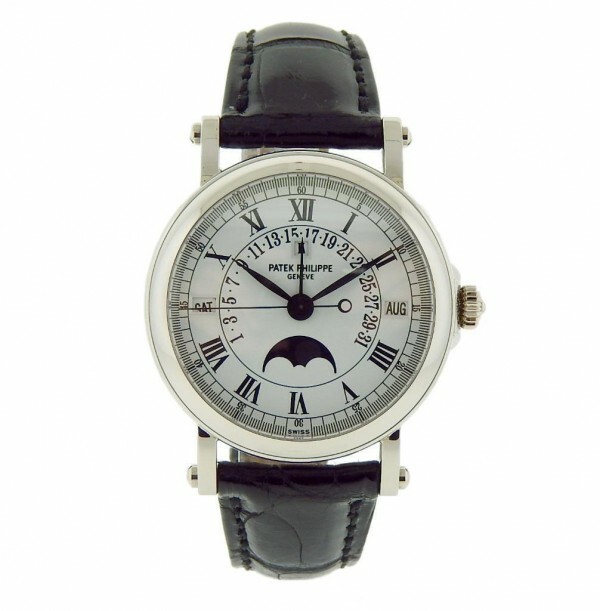 Presenting this beautiful Patek Philippe Men’s watch in White Gold Case and Buckle with Black Leather Strap and White Dial featuring Perpetual Calendar with Moon Phase and Retrograde date. Watch is pre owned and shows some signs of usage and works flawlessly. 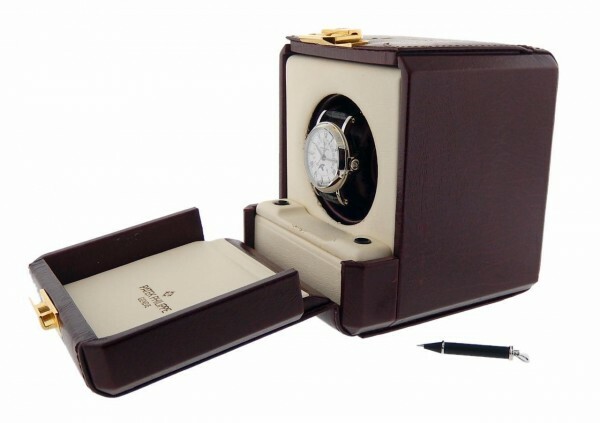 This watch comes with the winder box and papers dated August, 2001. 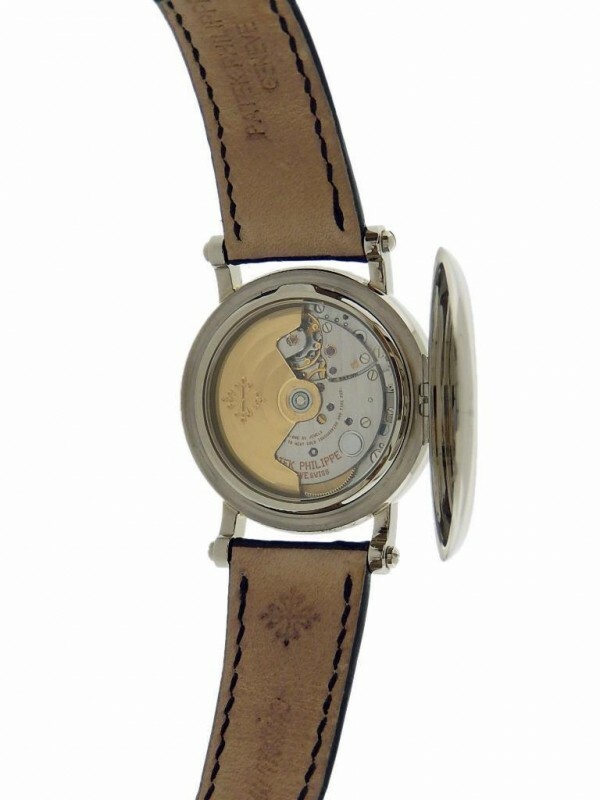 Watch has a Closed back Case which opens to see movement at work. Wear it in good health. Makes a great collector item. Excellent pre-owned condition watch with minimal signs of previous wear. the watch is equipped with an original Patek Philippe perpetual calendar movement that is in perfect condition and all the functions work perfectly. 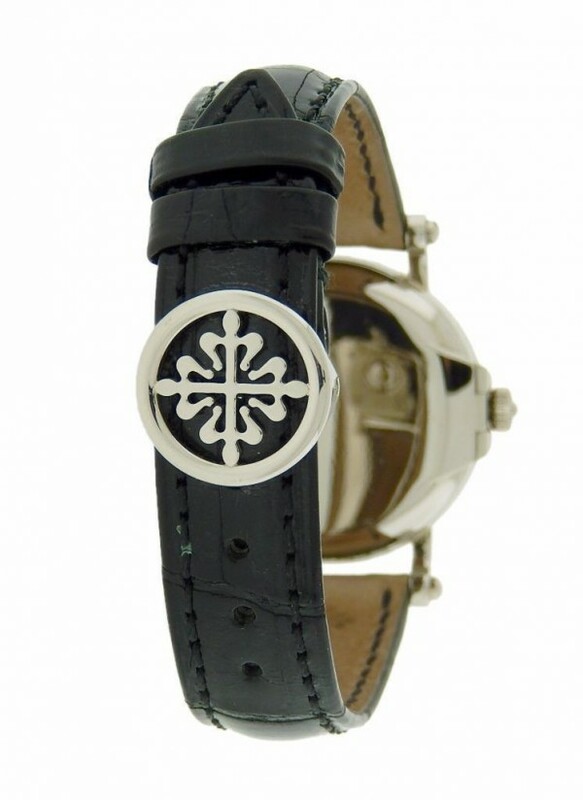 the watch keeps perfect time, all the functions of the perpetual calendar working perfect with no flaws. The overall condition is excellent - like new!